It's fair to say that like so many amazing crowdfunded ideas, the SwitchCharge hasn't had the most comfortable routes to market. 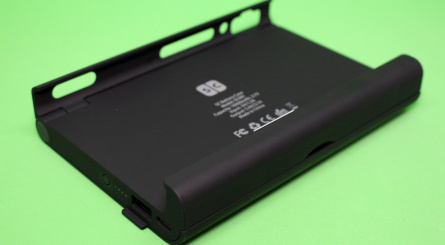 After comprehensively smashing its funding goal back in 2017, the accessory – which contains a 10,000mAh battery which quadruples the stamina of your Switch console – took a little longer than expected to become hard reality, and has been plagued by supply issues over the past month or so, with many backers completely in dark about when their unit will be arriving. However, this isn't vapourware – the SwitchCharge unit we have in our very hands is proof of this fact. Crowdfunding any product is a difficult process and InDemand Design has learned the hard way that even when your initial campaign surpasses your wildest dreams, there are plenty of potential pitfalls waiting to trip you up later down the line. Putting aside the issues relating to actually getting the device into the hands of backers for a moment, we're pleased to report that SwitchCharge delivers on its initial promises (well, aside from the capacity dropping from 12,000mAh to a still-respectable 10,000mAh). 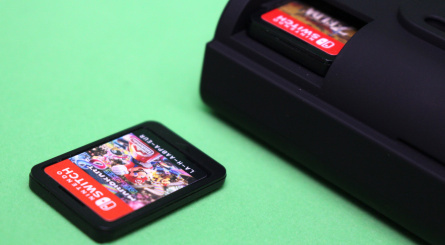 The unit bolts onto your Switch using a sturdy locking mechanism, and via its internal battery massively expands the amount of available playtime. 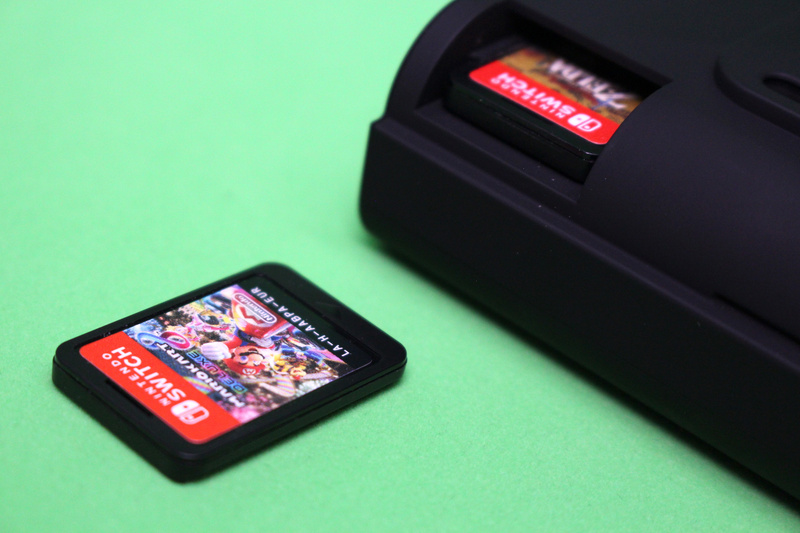 Furthermore, it also acts as a kickstand (and one that is significantly more robust that the flimsy offering on the back of the console) and has storage space for two game cards. 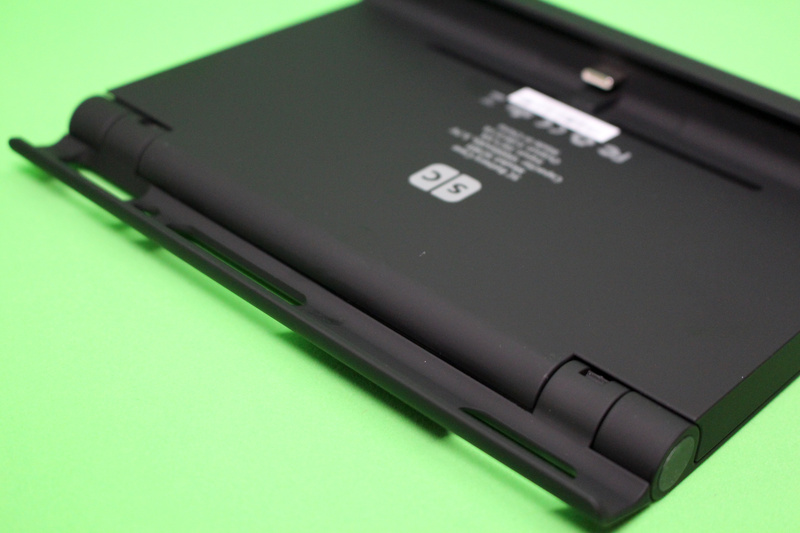 To top it all off, a USB port on the side also allows you to quick charge other devices at the same time. 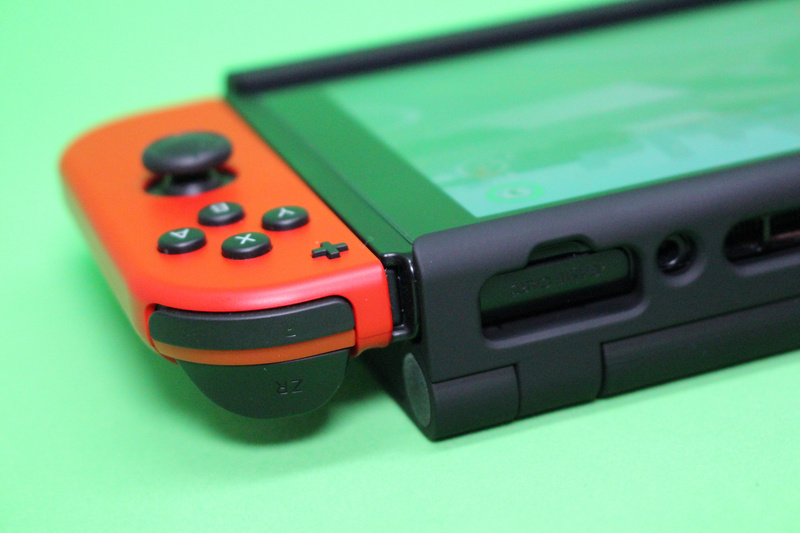 It's also worth noting that the SwitchCharge is not a dock, and won't potentially brick your Switch if you're on update 5.0 or higher. At just over 300g, the SwitchCharge is quite heavy. While we've never experienced any issues with tired arms when using the 'naked' Switch, with the SwitchCharge connected we found that after an hour or so we started to feel a little uncomfortable. Naturally, if you're playing in tabletop mode, this isn't an issue. We're also pathetic weaklings, so you may find your arms have more stamina. Another problem is that when the SwitchCharge is connected you can't rest your fingers on the back of the Switch, as you would normally. 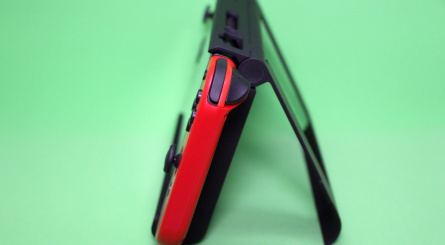 We wouldn't say that this makes the console harder to grip necessarily – it's just different. It takes a little getting used to but soon becomes second nature; it's only when you remove the device that you appreciate just how comfortable the Switch is to hold in its default form. The SwitchCharge's battery is topped-up using a USB Type-C connector, and you can check on the battery level by pressing the button on the side – four white LEDs denote the amount of juice left in the tank. 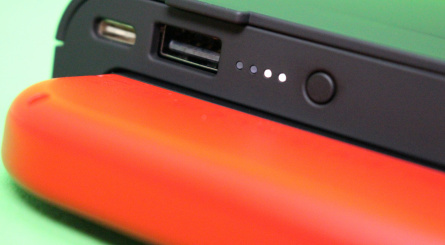 Charging a 10,000mAh battery takes some time – as you might expect – so it's best to leave it on overnight. 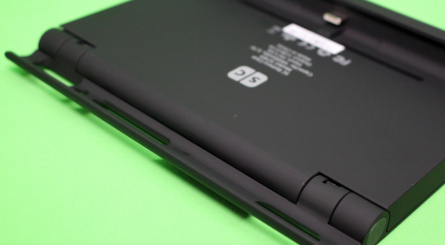 Plugging in the Switch doesn't automatically trigger the charging system – you have to press that button again to start topping up the Switch's battery. Hold the button for three seconds and the charging process will stop. We've not been able to test all of those titles under the same conditions, but those times do seem to tally with our own experiences. The SwitchCharge itself is a well-made piece of kit; it feels robust and dependable. It's covered in a grippy matte finish which picks up greasy fingerprints quite easily and gives off an unusual (but not unpleasant) smell. 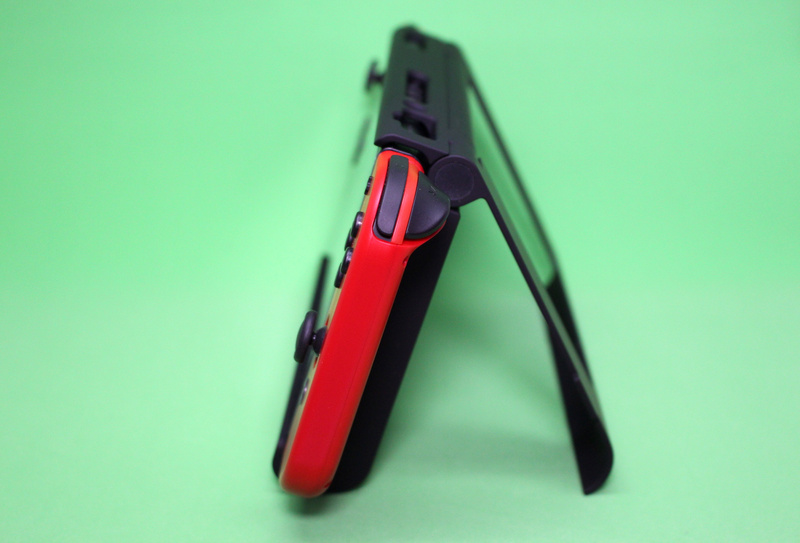 The kickstand has several different settings, the most extreme of which almost allows the console to be laid down almost horizontally on a table. The game card slots are handy, but be careful to only insert them label-up – we foolishly tried putting them in the other way around and had to use a knife to release them. It would have been sensible to include some kind of mechanism that prevents them being placed inside label-down, but this is minor gripe. 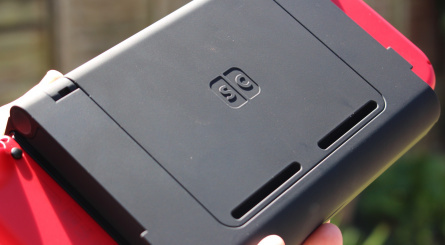 Along with the SwitchCharge we also got a carry case – which is large enough to house the Switch console with the SwitchCharge connected, six game cards and several leads – as well as a screen protector. The usual price is a whopping $120 / £88 / 100 Euros, but if you place an order now you can get one for a reduced rate of $85 / / £62 / 70 Euros. Stamina has long been an issue with Switch, and SwitchCharge's ability to tackle this problem head-on should be commended. 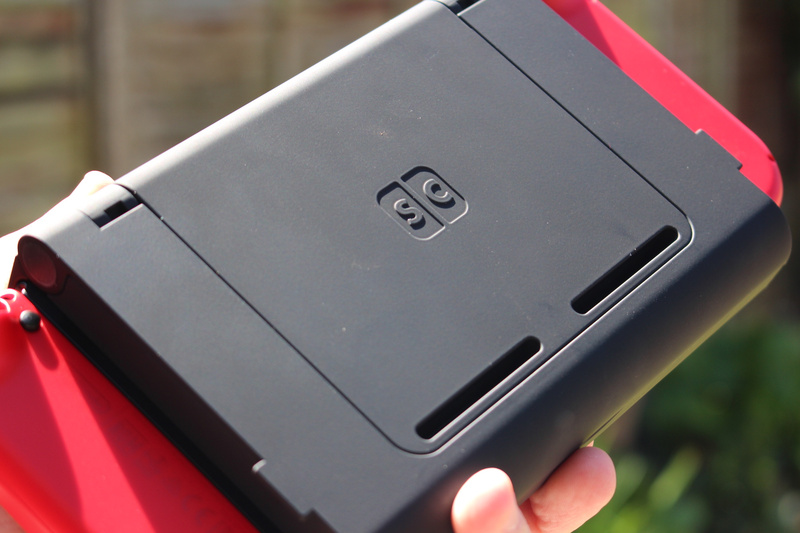 It's not a totally perfect product – 10,000mAh batteries are bulky and the unit almost doubles the overall weight of the Switch when connected – but in the short time we've had it, it has become an essential piece of kit, especially when we're on the road and need as much battery life as possible. If you backed the SwitchCharge in 2017 and are still waiting for your unit to arrive, rest easy – all good things come to those who wait, and InDemand Design has delivered on its promises, even if the actual process of getting units into the hands of buyers isn't going as smoothly as planned. You can order a SwitchCharge for $85 here. Looks uncomfortable to hold. 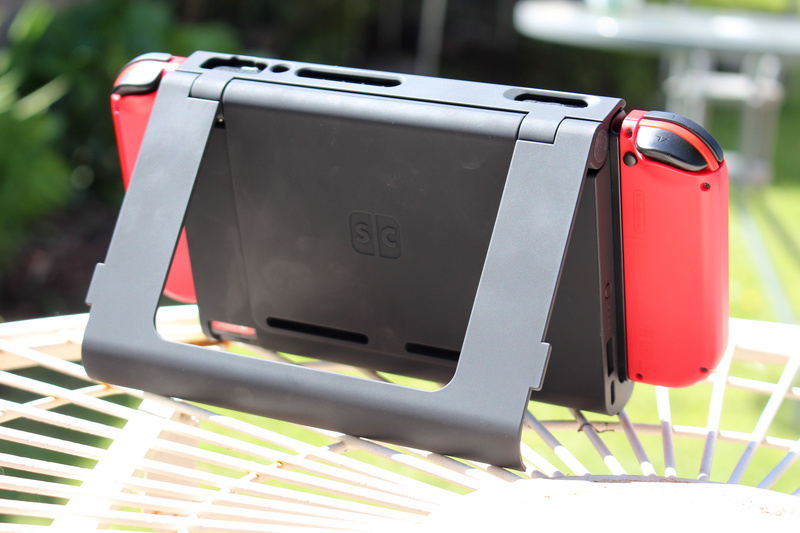 I'd prefer to just slip my Switch in a proper grip and charge it via portable battery. I never really felt the need to increase the battery of my Switch. My use of it balances docked and portable mode, so I don't find myself stopping playing to charge neither the switch or the joy cons. Booyah! My issue with these battery packs is usually that they make it incredibly difficult to find a proper carry case for your Switch. Unless the battery maybe comes with its own carry case or something I guess. ...until it bricks your system. Seriously, I don’t trust third party accessories anymore. Putting the Switch into Airplane mode really conserves battery power. I was fairly intrigued until I saw the price. Too many drawbacks for such a price. The issue it's designed to solve can usually be avoided by prudent recharging, too. How long until reports of it bricking consoles, regardless of it not being a dock. It's still feeding power into it. Too many reports of other third party accessories causing bricking has turned me off buying anything third party for Switch. Not worth the risk. Is there a battery test somewhere in this article that I missed? Maybe someone could test it out and tell us how long it actually lasts playing Zelda BotW? Also, longevity is an issue with nearly all third-party batteries that I’ve tried in the past. If this thing starts to fail after 3 months I wouldn’t be surprised, though for the price it seems like it should be high quality. The main function of this product is to boost the Switch battery so we would expect at least some test about how long it lasts !?! Like most of my devices, I use them during the day, and charge every night. Only a couple times in last year+ have I even played 3-4 hours in one day to kill my switch battery. I’m sure some will find this helpful, but I am a weaking and wouldn’t want to hold the extra weight either. I love that the joy cons are so light that I don’t even realize I’m holding a controller in the first place. @Equinox There are 999 Power Moons? I've got to get back to collecting! Nevermind the bricking potential... $120 or even $85 is WAY too much for a battery. 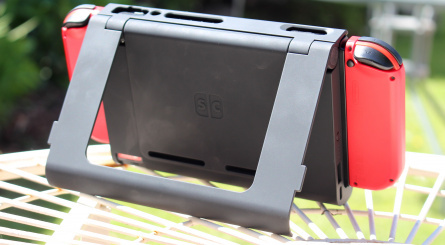 "It's also worth noting that the SwitchCharge is not a dock, and won't potentially brick your Switch if you're on update 5.0 or higher." It's not just docks that can brick a Switch. If it does not follow Nintendo's implementation of USB 3 standards or uses USB 2.0 power without the 56K Ohms resister between it and the Switch then there is a risk it can brick your Switch. 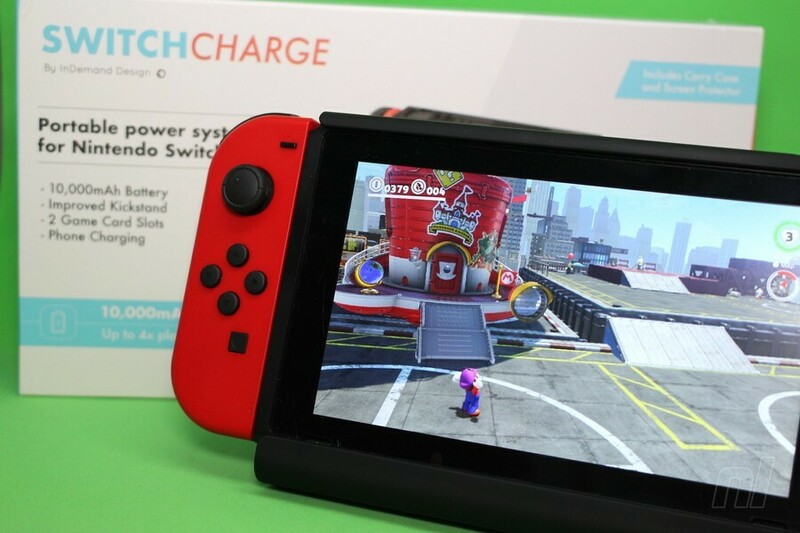 But reading the claims on the Indie Go Go and that they talk about how you can "Quick Charge" the switch this would suggest they are using a power standard more in line with the Switch's own PSU. Either Power Delivery or similar. Yeah gonna be a pass. After all the reported issues with 3rd party stuff and my own problems I've had definitely not buying anything for the switch that isn't straight from Nintendo. Don't play too much out of the house but I have a 30000 mah battery pack that helps out if it's running low while playing handheld. I think that's a much better solution. Cheaper and more versatile as it can be used with other devices. Sounds incredible and with MHGU on its way, my Switch could probably use some extended battery power. However, even with the current "sale" it's simply too expensive. No, I prefer the Hori play stand. On the table top, it's much higher to use which is better. A small portable battery is much better.. I still use my 3ds for portable play so have no need for this. @ValhallaOutcast ahh gotcha, missed that detail. The one I picked up has 3 usb a and one usb c and cost a third of this one. It's one of the most convenient things I've bought in years! I'm a backer of this, and still not received it yet. Apparently they ran out of money and are now prioritising new sales to those who backed it to try and keep the cash flow incoming. Most disappointed. How can you be sure it wont brick the system? I won't be touching anything third party until paid online launches in September so I can back up saves. Too scared of my Switch bricking. I've already lost my save data once, so not trying to lose it a second time. @ValhallaOutcast sorry you've lost me. My major concern is the small plastic grips that hold it to the system. By the time you take it in an out of the case to put it on the dock i can see those pieces snapping off extremely easily. Looks like it weighs about a thousand pounds. No thanks. ‘We’re also pathetic weaklings,’ made me chuckle. Good hardware review too. 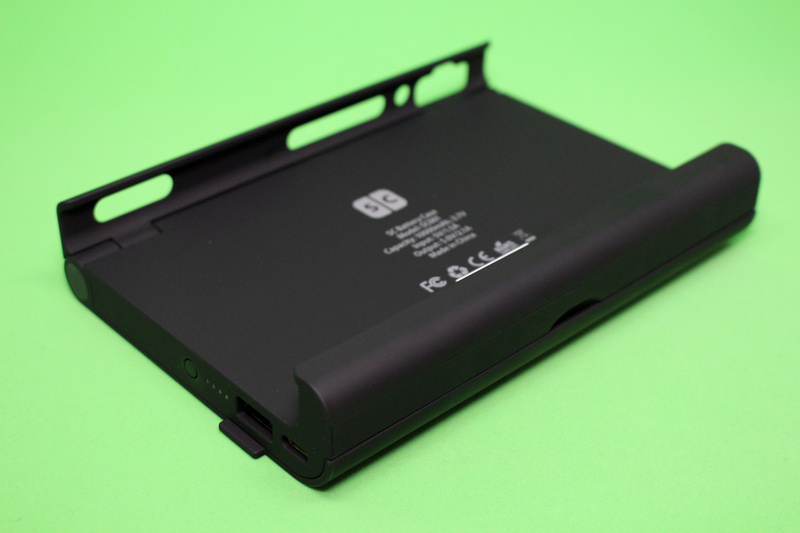 I have a 50 dollar 30,000 mAh brick that I simply connect with a standard charging cord that adds no weight to the Switch. Pass. A steep price to pay to brick your system. As a backer of the SwitchCharge I can confidently say that anyone who orders this will never get it. They don't have the money to fulfill shipments to current backers, there's no way they have the money to produce and ship to anyone buying one now. You have been warned. I could stand to have my stamina quadrupled. I actually have the SwitchCharge. It really does deliver on its promises. It's central to my Switch essentials kit. Costly, but I spent that money a year ago, so I've long since recovered from that investment. Can’t decide if playing a game for 14 hours to demonstrate the additional battery life would be great or terrible. First, as one of the first backers (who hasn't received a unit, and for whom no communication with InDemand has been returned), I clicked on the review, genuinely interested in what NintendoLife thought about it. "...this isn't vapourware..." promises NintendoLife. "...plagued by supply issues...", "...many backers completely in dark..", "...putting aside the issues relating to actually getting the device into the hands of backers for a moment..." The final sentence of the review is a real kicker - is this a review, or an InDemand sponsored apology? Furthermore, what kind of review is this? "We've not been able to test all of those titles under the same conditions, but those times do seem to tally with our own experiences." InDemand published those times in April 2017, back when the product was promised to have a 12,000mAh battery rather than a 10,000mAh one. I'm glad that the times tally with your experiences, but that tells us absolutely nothing. How do you review this device without testing it and providing the results? I don't care how it smells, I care about how it performs! Let's get one thing straight! This thing does NOT quadruple the Switch' stamina. The Switch has a 4,300mAh battery. 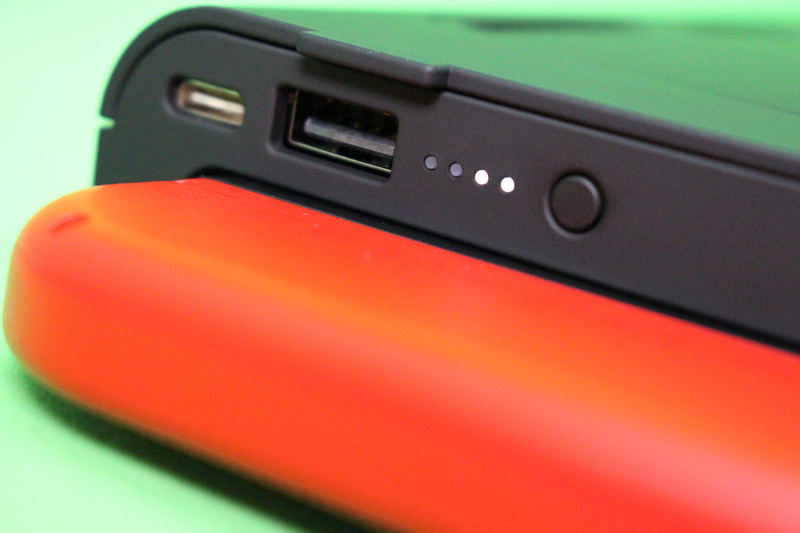 This gadget has a 10,000mAh, which effectively means 8,000 if we're lucky. In the end it adds about 4 hours of Zelda on top of the 2,5 offered by the switch itself. Understand the comment about the unit having USB A & C outputs; however most battery packs also have both A & C now and cost much less than this! @BrettAwesome so those times in the article are not true tests ? They are bad math assumptions? Too cumbersome, it could have a use for tabletop play however. @Supadav03 Thanks for the product recommendation. I'll pick up the one you mentioned as I'd rather pay $40 rather than $85 for functionally the same product. I actually received mine, but was waiting to use it until I read some official reviews. Crowdfunded products are spotty at best, so I'm glad SwitchCharge is working great. 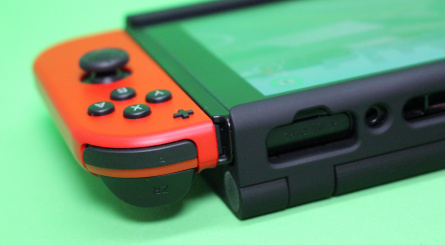 Regarding the comment about how uncomfortable the Switch is to hold with the SwitchCharge on, I already find the Switch uncomfortable to hold so this probably won't feel any different to me. Nintendo Life is free advertising fund me pages now ??? yet community rules state no advertising for goods and services, well damn, whose paws do i have to grease to be able to advertise/sell my $50 high quality 256GB, micro SDXC cards i sell ??? Don't support these people! They still haven't honored all their supporters! Further they completely silent to the community asking when they will get their unit. I don't care what you say about it not being vaporware. Its vaporware to group of us that haven't received it!